The United States on November 29 has welcomed efforts by India and Pakistan to increase people-to-people ties, days after both the countries laid foundation stones for the Kartarpur Sahib corridor. 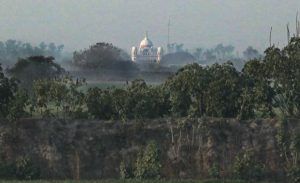 The Kartarpur corridor, which India had proposed to Pakistan around 20 years ago, is expected to be completed within six months. The corridor will link Darbar Sahib in Pakistan’s Kartarpur with Dera Baba Nanak shrine in Gurdaspur district, Punjab and facilitate visa-free movement of pilgrims.